Our Chosen People Ministries staff regularly speaks in churches across the United Kingdom. Topics include: How to Share the Gospel with Your Jewish Friends and Neighbours, Understanding the Old Testament Jewish Feasts, Understanding the Jewish Roots of Our Christian Faith and our popular Messiah in the Passover demonstrations. Would you like to have a Chosen People Ministries representative speak to your church or group? Please call 0208 455 7911 or email info@chosenpeople.org.uk. Our speakers are all accomplished presenters of God’s word, and are sure to be an encouragement to your congregation. For a more complete list of topics Fiona is able to speak on, please click on the bottom of the page. 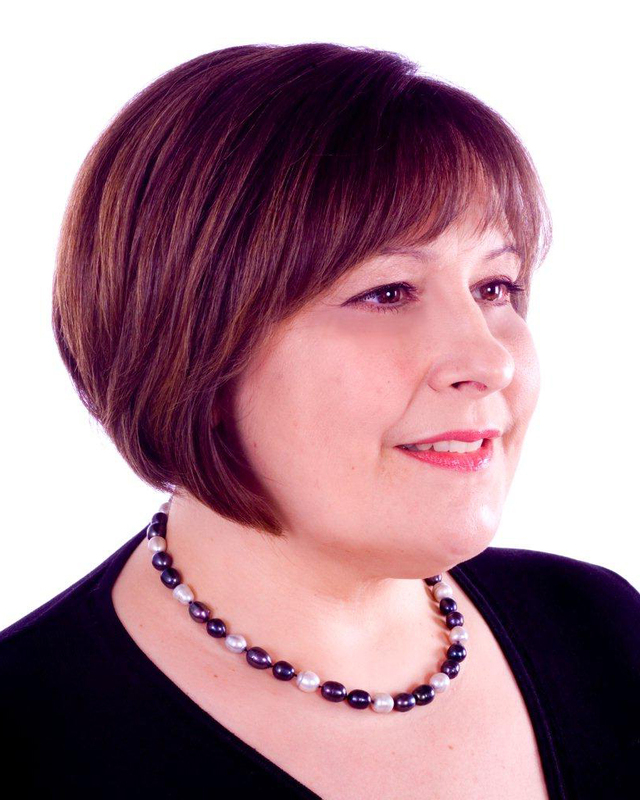 Fiona is an accomplished speaker who has spoken extensively in the Former Soviet Union where she worked in Russia, Ukraine and Moldova, she is now based in London. She is available for speaking engagements, television and radio interviews particularly on topics dealing with the Jewish Festivals and their relevance to Jewish and non-Jewish believers in Yeshua (Jesus) today, as well as the Jewish roots of the Christian Faith and the lessons of the Tabernacle. Fiona Sorbala is a Jewish believer in Jesus who grew up in Scotland. Her mother, who grew up in the Egyptian Jewish community, came to the United Kingdom via France, where her brother had been killed while working for the French Resistance. Fiona has an early memory of her mother telling her to never forget that she is Jewish. When she was 14 she came to know her Messiah. Her love for the Bible brought her to Bible College where she first got involved in evangelism to Jewish people. In 1992 Fiona first went to St Petersburg in Russia. At this time there were amazing opportunities to evangelize and disciple the myriads of Jewish people who had not been denied the Gospel under Communism. She is now fluent in Russian, and also met her husband Marius while serving the Lord there. Like the Apostle Paul, Fiona longs to see Jewish People find their Messiah. When God instituted the Passover for the Jewish people, He gave all mankind a picture of what redemption was. As the people of Israel sacrificed lambs so that their own lives might be spared, so God has sacrificed His own Son so that all mankind might be redeemed. A Messiah in the Passover demonstration illustrates how Yeshua (Jesus) initiated the Last Supper during Passover, and how He is the fulfilment of the feast. This can be taught at any time of the year, but ideally in the months preceding Easter or Passover. The Fall Feasts of Israel (Leviticus 23:23-43). Individually or as a trio. The Feast of Trumpets (Lev. 23:23-25) Yeshua is Coming Again! The Feast of Tabernacles (Leviticus 23:33-43) God Dwelt with Us! Why evangelism of the Jewish people is a priority. Why, and how, God intends it to be a blessing to the Church and the world. How you can take part in this privilege and blessing. Exciting insights into the Gospels emerge as we look at them in light of their Jewish cultural context. Jesus as the Word of God; What being ‘born again’ is all about; and what it means to be His disciple. Christianity today is the fulfilment of the prophet’s words. Christianity really is “Jewish” in more ways than we realize, and recognizing this fact opens the door to a deeper understanding of God’s word. (Sermon / Seminar / Adult Education class) Jewish evangelism is unique. This seminar or sermon covers: Why the Jew? ; Messianic Prophecy; The Jew and the Church; Common Objections; and What Not to Say! Application can be made to evangelism and missions in general on the basis that if you can share Messiah with a Jew, you have the tools to share with anyone.